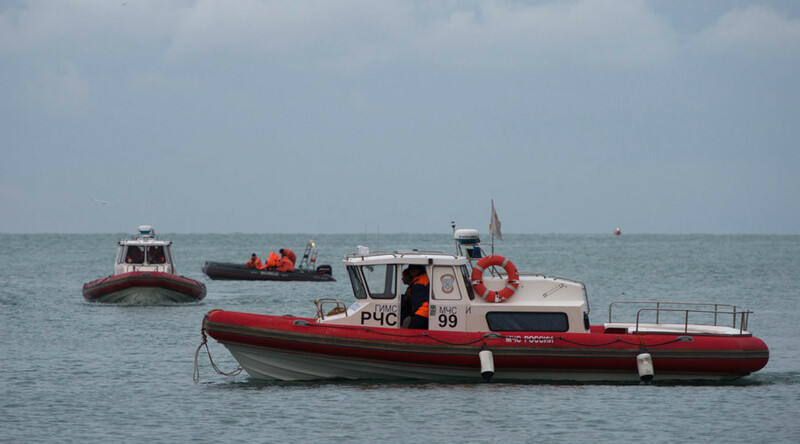 All 92 people aboard the Tu-154 that crashed in the Black Sea are feared dead, while massive search efforts are underway at the site of the tragedy, with 3,500 people participating in the operation. Technical failure and pilot error are among the causes suggested by the authorities. The third black box from the crashed Tu-154 appears to have been destroyed, a source in law enforcement agencies told TASS. The flight recorder was reportedly located in the plane's tail. The tape in the black box has been damaged but it can still be partially deciphered, the source added. The condition of two remaining black boxes is satisfactory and the data they contain is currently being deciphered in Moscow, the source added. The remains of 19 people killed in the Tu-154 crash have been retrieved from the Black Sea as of Thursday morning, RIA Novosti reports, citing a security source. The agency added that 17 of the bodies have been taken for identification to Moscow via a special flight. Most parts of the plane necessary for the investigation have been recovered, the source said. “The main fragments of the plane are on a special platform, where specialists will ‘lay out’ the crashed aircraft,” RIA cited the source as saying. The main phase of the search and rescue operation is now reportedly over. Divers have lifted two more bodies from the crashed plane, TASS reported, citing a source from the search and rescue operation. “All in all, 15 bodies have been found so far, 13 of which have been delivered to Moscow,” the source added. More than 1,500 plane fragments from the Tu-154 passenger jet have been found at the crash site in the Black Sea, a source in Russia’s security services told TASS on Wednesday. “1,547 fragments have been found during the search operation, around one third of which were retrieved,” the source added. Rescuers have also discovered 13 bodies and 223 body parts so far, a search and rescue operation source told TASS. The humanitarian aid that Doctor Elizaveta Glinka was due to deliver to Aleppo has arrived at Khmeimim airbase, Russian Defense Minister Sergey Shoigu said, adding that it will be sent to the city in a few days. “That work, which she [Glinka] did with us in Syria by helping civilians, children, hospitals, should continue,” the minister said. The aid had been on board another plane that took off for Syria on the day the Tu-154 crashed, which successfully reached its destination. 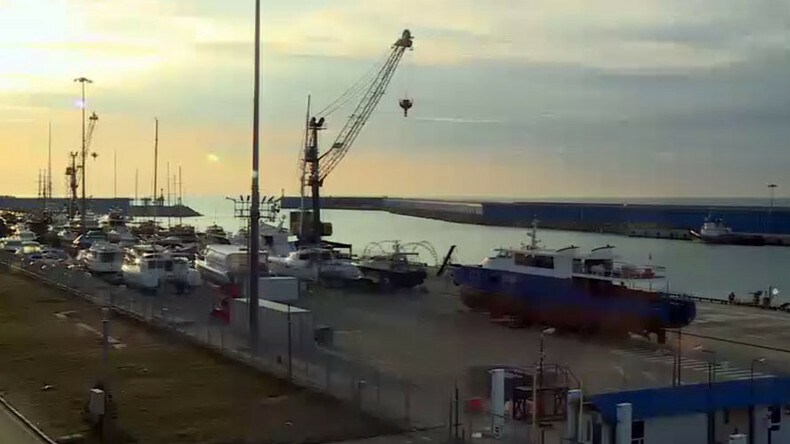 An operation to retrieve bodies and plane fragments is currently underway in the Black Sea, a Ruptly video shows. Divers have found one of the black boxes of the crashed Tu-154, a source told TASS. At least three more victims’ bodies have also been recovered in the ongoing search operation. Italian singer and songwriter Salvatore “Toto” Cutugno, who personally got to know the director of the Alexandrov Ensemble, Valery Khalilov, and on a number of occasions shared the stage with the Russian choir, told RT that the crash had made a deep impact on him. “As to me, I was rather involved in this crash because inside this airplane were people I had known personally,” Cutugno said. He recalled how members of the choir had struck him as both highly disciplined and professional, and very curious and easygoing at the same time. “In Sanremo, when the cameras we off, I was singing, “Na-na-na,” and they were responding to me, “Na-na-na-na,” with their very strong voices. We had a lot of fun and we liked to do this vocal exchange very much." The captain of the crashed aircraft apparently attempted a sea landing, a security source told TASS, citing the damage to the tail fin. “According to preliminary data, the damage [to the plane’s tail] indicates that the commander wanted to land the plane on water," the source said.